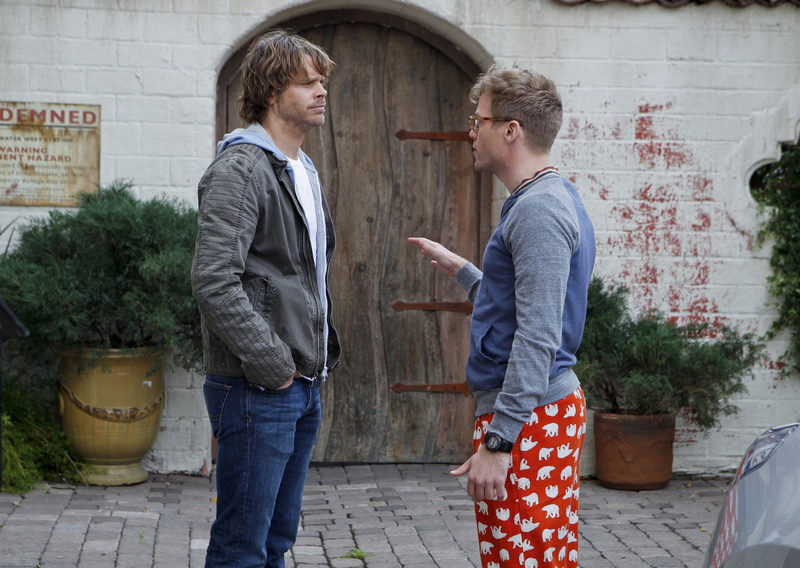 Pictured: Eric Christian Olsen (LAPD Liaison Marty Deeks) and Barrett Foa (Tech Operator Eric Beale). The NCIS: LA team is called in to determine if the computer system that controls Russian missiles is at risk after Eric overhears his friend, a computer systems expert, being attacked during online game play. Meanwhile, Kensi is shocked when a familiar face from her past shows up in Afghanistan, on NCIS: LOS ANGELES, Tuesday, March 25 (9:00-10:01 PM, ET/PT) on the CBS Television Network. Photo: Sonja Flemming/CBS ©2014 CBS Broadcasting, Inc. All Rights Reserved.